Alisher Saipov, our colleague and prominent journalist from Kyrgyzstan, would be 27 on September 4, 2008. However, this brave and extremely talented young man did not live to see this day. Alisher Saipov became popular after his prompt and thorough coverage of the March 2005 "tulip revolution" in Kyrgyzstan and his outstanding reporting about Andijan massacre in Uzbekistan in May 2005. Despite his young age Alisher had rich media experience and worked as a correspondent with several international media outlets and opened his own newspaper Siyosat (Politics). On October 24 Alisher was shot down by a killer on the street of his home town Osh, in southern Kyrgyzstan. President Kurmanbek Bakiev and head of the Kyrgyz Ministry of Interior said they would personally monitor investigation probe into Saipov's assassination. A month later Ministry of Interior announced key versions of investigation and published image of the assumed killer. In December Kyrgyz Security Services announced they had detained one suspect. In April 2008 Ministry announced suspension of the investigation, however later on the probe was resumed again. Ten months of investigation have born no fruits. 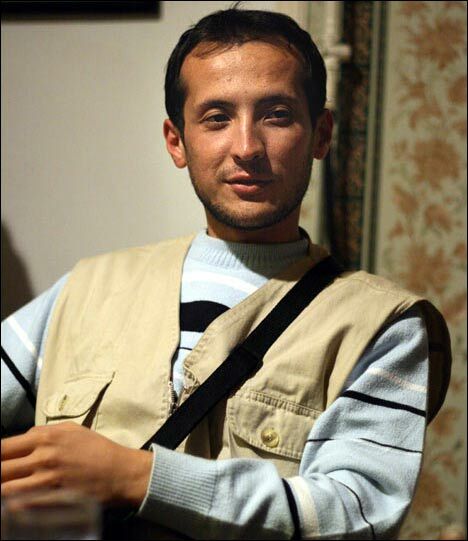 Alisher's friends and colleagues firmly believe young journalist was silenced because of his outspoken reporting. May he rest in peace, and may Alisher's memory live on forever!